by J.J. Hurtak, Ph.D, Ph.D. The recent confirmation of surface and subsurface ice and water reservoirs on Mars represents ground breaking news and the need to prepare Space Law documents that will preserve and protect these critical resources by future missions to Mars. The Mars Global Surveyor spacecraft not only concluded that Mars has a molten liquid core that has some similarity to Earth, but it has detected surface and the possibility of even larger subsurface water reserves that could prove useful to human habitation. Along with this evidence, the Mars Odyssey orbiter confirmed (in 2002) ice at the north pole (and in 2004, the Mars Express has confirmed ice at the south pole and hydrogen in the atmosphere). The January landings of NASA’s Spirit and Observer missions hope to write a new history on the shared biosphere of Mars-Earth and the possible beginnings of life on earth connected with Mars. A new generation of ecological issues on Mars stands before us which exemplify the interconnectedness of life and its natural support systems for future life on Mars. Modern scientific discoveries are revealing that localized activities can have global consequences and that dangers of contamination can be slow and perhaps barely perceptible in their development until it is too late. Traditional environmental law and international diplomacy offers some practical guidelines for confronting such situations. Environmental problems of the past were addressed largely through unilateral actions, national legislation, and occasional international treaties, all based on unmistakable evidence of damage. However, if the international community is to respond effectively to the new environmental challenges of the Martian resources like water, a substance vital for species survival or extinction, governments must undertake coordinated actions before damage becomes tangible and thereby possibly irremediable. There is growing evidence that a far larger body of water inundated the northern plains much earlier in Martian history. Immense outflows likely formed large ice-covered lakes or there may have been one large ocean. Along with others in the remote sensing field this author first raised this tantalizing possibility in the mid-1970s after he identified possible shorelines in the Mariner-9 images. This interpretation along with others in the field like Michael Carr originally received additional support from Prof. James W. Head (Brown University) and his colleagues. Using remote sensing measurements made by the Mars Global Surveyor spacecraft, they found that at least one of Mars’s putative shorelines lies along a boundary of nearly constant elevation –a result most easily explained by erosion associated with a standing body of water. This would fall within a geological time period of 3 to 4 billion years ago. While the geologic evidence for an ancient ocean appears increasingly persuasive, the genesis and timing of its existence is still unknown. Until recently, geologists thought that if a large body of water ever existed it must have resulted from the discharge of the outflow channels and thus would have first appeared about midway through Mars’s geologic history. However, some planetary scientists have taken a different approach, first by considering the hydraulic conditions required to explain the channels themselves and then by extrapolating those conditions backward in time. We conclude that an ocean on Mars (as on Earth) almost certainly condensed shortly after the planet formed. 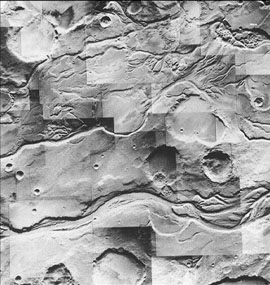 Cameras from NASA’s Mariner-9 and Viking l and Viking 2 documents, and more recent findings of heavy hydrogen concentrations by Odyssey show evidence suggesting that catastrophic outflows repeatedly discharged massive floods onto the regions of the Valles Marinaris and Chryse Planitia. But what about today? Closer examination of both old and new documents from Martian orbiters show huge potential reservoir areas in the planet’s southern highlands. Of the planet’s total estimated inventory of 0.5 to 1.0 km of Hydrogen between 94 and 98 percent of it remains unaccounted for, the vast bulk of which may reside as ground ice and groundwater beneath the Martian surface  The total volume of water ice present in the south polar cap is still unknown but is believed to be more shallow than in the north which would be between 1-3 km in thickness. Both have liquid water according to the Mars Global Surveyor findings (2003). If both caps are composed completely of water, the combined volumes are equivalent to a global layer of between 25-35 meters deep spread out across the planetary surface. This is comparable to 14.2 million square km of Antarctica that is covered with ice at an average depth of 2,000 meters. New findings presented by researchers predict that most gullied surfaces will not be sites of near-surface water reservoirs because the snow surface is now gone near the equator. At the Martian surface, the low relative humidity of the atmosphere means that ground ice is thermodynamically unstable at the “warm” latitudes around the equator at 40 degrees and, therefore, dissipates into the atmosphere. Depending on local conditions and variations in subsurface properties, the average depth of this desiccation ranges from a few centimeters at the planet’s middle latitudes to as much as 1 km near the equator. Ground ice could also be present in mass deposits in the northern plains, an expectation based on the evidence of the early ocean and possible flooding by outflow channels later on. As a result, the sequence of volatile-rich layers underlying the plains is likely to be quite complex, having been built up through multiple episodes of flooding, freezing, sublimation, and burial. This complexity has undoubtedly been compounded by other geological movements and vicissitudes on the planet’s surface, which may or may not provide for enriched soils. Water activity exists, in some form, currently and in the past, within centimeters of the surface and at the ice caps on Mars. This fact has already influenced our rationale in the search for landing sites and should continue to provide important areas for future sample return missions. While at the same time, the rock layers above gullies, previously thought to be a water source, are extremely difficult to access and are unlikely landing sites. There are four basic objectives in environmental law proposed for Mars: the protection of aquatic ecology; the protection of specific subsurface habitats where some organic life may live; the maintenance of clean water for use by interplanetary space mission teams, and the protection of water resources and water samples that will be shipped from Mars to Earth for research and study by governments and multi-national corporations. 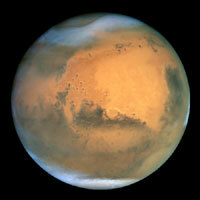 Simply put, the biosphere of Earth also extends to Mars and this larger biosphere needs to be preserved! On the basis of new geological data the directive for formulating a Martian Environmental Law (MEL) under space law, policy makers from the U.N., government, regulatory agencies, the water industry, and aerospace specialists on planetary environment should work together to provide an integrated framework for the protection of surface water, groundwater, estuaries and remnant areas of the ancient Martian ocean shorelines. This is to encourage cooperation between different exploratory parties or consortiums of the Martian surface by using management based on international policies for the governing, protection and welfare of coastal and oceanic areas as announced at the UN World Summit on Sustainable Development (Johannesburg 2002). Is it possible to design a version of incentives so that responsible parties could normally be expected to discover the magnitude of the risks, investigate the menu of risk-reducing strategies, make a socially acceptable choice, and act accordingly? Increasingly, court remedies are being relied upon to provide exactly this kind of system of incentives. In cases such as oil spills and contamination of water supplies by toxic emissions, the courts have forced responsible parties not only to pay for clean up of the contaminated sites, but also to compensate those who suffered damage in one form or another from the contamination. However, we cannot wait until “after the fact” on Mars, but we must implement regulations which are by their very nature ex ante ; they prescribe or prohibit specific activities before they occur. In the 1980s global politics and environmental issues collided in the world. British scientists reported in 1985 the thinning of the ozone layer of the Antarctic, and the pressure was on to freeze and/or reduce CFC (Chlorofluorocarbon) production. By 1987, the international agreement entitled the Montreal Protocol was signed by the United States, the European Community and twenty-three other countries. Nevertheless, there were loopholes in the Protocol which permits India and China to continue to place high concentrations of CFCs into the atmosphere. Clearly the problems of the world ozone crisis in the 1980s illustrate a good strategy of how many governments of the world worked together in resolving sharp differences on the curtailment of CFC production which was seen as a trigger agent for the destruction of the fragile ozone layer. For obvious reasons, European industry—and hence the EU (European Community) –did not welcome the proposal of a quick time table to eliminate all CFC production by the end of the 1990s. Several times the negotiations threatened to break down. Sweden, the United States, and other countries continued to emphasize during the debates that, if only production were controlled, unfair benefits would be conferred on the EU, while CFC-importing nations, especially the developing countries, would be at a disadvantage. Ultimately, the logic and equity of an “adjusted production” formula was compelling, and the opposition to a “production only” formula became implacable. The EU Commission found itself isolated, and a solution in the form of a more comprehensive legal language proved successful. The legal solution crafted at Montreal was practical and impartial, defining an agreed upon schedule to phase out production. The path to litigation resolution in space-related activities may well hinge on constructive language that is “time related” in putting problem solving on a fast track. Our latest scientific and social comprehension of the cause and spread of CFC destruction, also shows how unaware we are for returning to Mars with the scenarios that could seriously affect the “skin” of the planet. A sense of uncertainty about the way the upper atmosphere is monitored through old standards and old calibrations of pollution needs to be examined with remote sensing techniques to monitor the gases, such as hydrogen, that are present on Mars. Increasing economic pressure, in contrast, to understanding non-renewable resources on planet Earth and Mars forces Earthlings to look principally at exploration for economic developmental. New advantages of the space program will focus on futuristic exploitation of mineral and energy resources on the nearby planets as part of a great extraterrestrial imperative. But an even more important feature stems from Mars’ suspected ocean, that once covered much of the planetary surface and its suspected vast underground water resources which will make water economically feasible to exploit for future mission to Mars. The high degree of certainty that mineral deposits do exist similar to those on earth is based on close geological similarities that have been observed in over twenty meteorites that have been found on Earth that are believed, based on their chemical composition (iron, etc) to be from Mars. Microstratigraphy shows detailed carbonate deposits in meteorites were inserted while the rock was still on the Martian surface, providing possible evidence that liquid water circulated through the surface crust. Scientists, since 2001, have used Odyssey’s gamma ray spectrometer to locate suspected water locations near the signature of buried hydrogen. Neutron data reveals major concentrations of ice-rich layers of water beneath the surface. In addition, gully formation at the surface by snow melt is thought not to produce mineral deposits, such as salt, as it does on earth, a prediction opposite to what might be expected if the source water was subsurface brines. There is suspicion of mineral occurrences including antimony, chromium, copper, iron, zinc, sulfur and molybdenum on the Martian surface. However, none approaches a grade or size warranting immediate economic interest. Also there are probably very large deposits of coal and sedimentary iron, but because of the high costs of Mars operations that would occur during the first half of the twenty-first century, few conceivable resources, excepting the search for a water reservoir or search for petroleum from microbial life, would have any likelihood for immediate exploitation for economic benefit. If ancient bacteria created petroleum, any extraction would be difficult but not impossible in the deep underground regions since technologies have been developed for drilling and recovering petroleum in the Arctic regions of earth. Drilling ships and platforms, so effective for the usual massive undulating and gargantuan storms in the Arctic, could be used directly on Mars. Thus, fuel and water resources would be exploited far sooner than mineral resources. Unless there were exotic minerals, there is little potential for the development of Martian reserves before more attractive areas throughout this world are explored, that is for bringing back reserves to Earth. But Martian water and fuel resources would be first exploited by our own Martian explorers and first colonizers. The factors of development are complexly interrelated and difficult to assess for the present, let alone the future. From in only a short time from the first human landing or even with simple unmanned probes with special robotic tools, it can become feasible to develop a Martian resource, such as surface water for evenutal human settlements. 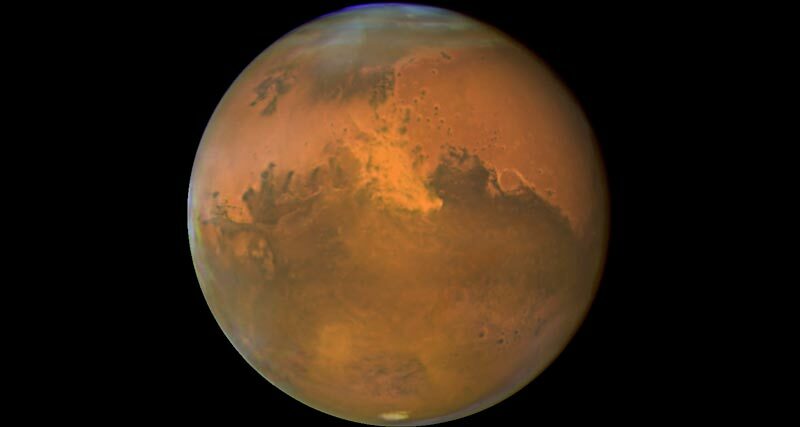 Other sources of coal or oil shale might be found in the first decades of development, that could be used as an energy resource in the place of geothermal energy, which would greatly change cost factors of industrial development on Mars, so we must immediately force a reconsideration of previous environmental incentives to keep Mars clean. The political volatility of the resource question, especially the problems of rights of ownership and development, has prompted proposals that range from sharing any found mineral wealth equally among the nations to establishing the planet as a total ecological zone; it is understood that any significant mineral discovery will provide a severe test for the nation-states first on the Martian surface. In one definition of “resource development”, Mars natural resources can be defined as natural materials or characteristics of significance to humankind. By this broad definition, the term includes not only biological and mineral resources but also the land itself, water, ice, climate, and space for living and working, recreation and storage. “Economic resources” are those that can be used or exported at a cost that is less than their value. Any attempted appraisal must therefore be continually reevaluated in terms of current market values, logistical costs, and technological development. A rich imagination can also see many possible uses of the Mars poles and their reserves. The polar ice sheets possibly contain as such as 90 percent of the planet’s glacial ice—a huge potential supply of fresh water—but any economic value is precluded by delivery costs except for the exo-industrial settlements. Mars ice has been proposed as a long-term, deep-freeze storage site for grain and other foods, but calculations show that such usage is not economic at the early stages of settlement, because of excessive shipping, handling, and investment costs. The Antarctic Treaty rules out military use, however, and the increasing capability of earth-based long-range aircraft rocketry, and satellite surveillance and reentry decreases the possible military importance of Mars. In the long run, we might find, as Libya did when they exploited their ancient underground water, that there is a limited and meager inventory of accessible water which would be at odds with the volume of fluid needed to shape exo-industrial operations for making Mars user-friendly to the first generation of earthlings. Therefore, space law for the protection of vital environmental resources, especially water and petroleum, must be the single most important part of framework legislation for all participants. (1) Because not all bodies of water are used for the same purpose, specific protection zones are to be established within each ancient river basin, subject to more stringent protection according to the uses made of them. (2) Groundwater should not be polluted at all, so direct discharges into groundwater should be banned, and groundwater should be monitored so that changes in chemical composition can be detected and man-made pollution addressed by new technology. (3) Member exploratory parties on Mars whether national or international are to be subject to the use of water through laws and ‘green taxes’ to achieve the goals of the directive, the goal being to prevent the over-extraction or drilling for water, and to encourage more efficient use of water reservoirs, and to ensure that the environmental costs of water use are borne by the user. The long-term viewing of Martian resources may soon be possible due to NASA’s Spirit and Opportunity probes with a plethora of follow-up missions. In spite of other world-wide problems, such as the threat of nuclear devastation and the gradual one of curbing human population-pressures, the time is right for all thinking humanity to act in an ecologically-minded context. This should range from applying legislation through enlightened maintenance of each local ecosystem, whether natural or artificial, and to care for it in the interplanetary context of what this writer calls, the Joint Earth-Mars Biosphere. Each of the ecosystems comprising the Joint Earth-Mars Biosphere, should become an integral part of our life in unity with Earth’s living biota–including Humankind. In building a society and eventual civilization on Mars, through cooperation among nations, we can only do this by preserving water as the future “life blood” of humanity. Let us not destroy our chance of building new life upon the remnants of a once global Martian ocean. But let us now begin with introducing protective laws which will protect possible invaluable “surviving micro-organisms” that can give evidence of our evolutionary track in the cosmos, as well as our own future on our sister planet. Immediate space law legislation is, thus, needed for the initial contact with the tread of life on a sister planet and the development of human civilization on Mars in the 21st century. Accountable and courageous leadership in all sectors will be needed to mobilize the necessary effort. If the world community fails to act forcefully in the current decade, the Earth’s ability to sustain life in space, including back on mother Earth may be at risk. Discussions with Prof. James W. Head, Brown University, at Jet Propulsion Lab, L.A., April 1984. Mellon, M.T. and Jakowsky, B. (1995) The distribution and behavior of martian ground ice during past and present epochs. Journal Geophysics. Research. 100, 11781-11799. J. Thompson, et al. (2003) Martian Gullies and the Stability of Water in the Martian Environment. Lunar and Planetary Science XXXIV, 1035. Boynton, W.V. (2002) Science 297, 81. McKay, Christopher, Kastings, J. and Toon, O. “Making Mars Habitable,” Nature 352 (1991) 489-496. Benedick, Richard E.. (1991) Ozone Diplomacy, New Directions in Safeguarding the Planet. Cambridge, MA: Harvard, p 198. French, Hilary et al. (1992) After the Earth Summit. Future of Environmental Governance. Washington D.C.: Worldwatch Institute. The Ecological Integrity section of The Earth Charter Initiative gives an outstanding model for a global ethic and for adapting human life to work in a vast evolving universe with new planetary habitats. See www.earthcharter.org. Levin, G. (1997) “Viking Label Release Experiment” (Water and Life on Mars Reconsidered). Proc. Internat. Society for Opt. Imaging. Proc. Series, 3111, pp. 146-161. Discussions with Walter Brown, former head of Radar Team at JPL, August 2002.